HTC HD2 officially coming to US –but for which US 3GSM bands? Uh, HTC, define “early.” This 4.3” capacitive touchscreen with a 1GHz Qualcomm Snapdragon processor is my dream phone. Yeah, its OS is Windows Mobile, but I’ll overlook that. Hurry up HTC; my nomadic AT&T SIM card wants a home. But can the HD2 be its home? No, not the famous Bruce Lee martial arts movie of over 35 years ago. Nor is the X10 a successor to the first supersonic fighter, the X-1. (Boy am I dating myself). Instead, you now can add two more large capacitive touchscreen phones to the growing list we’ve been discussing recently. We may find out in a few months if this plausible speculation is correct. Pocketnow thinks the HD2 Pro may be announced at the Mobile World Congress in February 2010. The Nokia N900 is barely out of the gate and there’s already talk of its successor: Nokia N920 possibly already in the works. The N920 (Maemo 6 OS) is rumored to have a 4.13” touchscreen (vs. the N900’s 3.5”) which is capacitive (as opposed to the N900’s resistive). Large screens appear to be the wave of the future for high-end phones, regardless of OS. 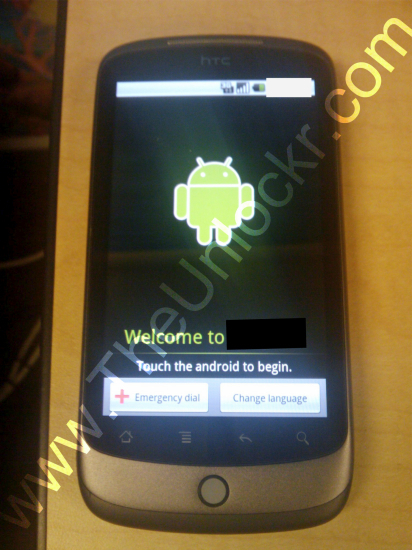 You need look no farther than the 4.3” HTC HD2 (WinMo) and the Archos Android phone (last discussed in Archos Update). The same may also be true of capacitive screens. The HD2’s screen will be capacitive. Unknown yet if the Archos Android phone will have a capacitive screen, but other, existing Android phones do. HTC HD2 – Which US 3G Bands? HTC Leo aka HD2 Coming to America! relayed Slashgear reports: “HTC CEO Peter Chou has confirmed that HTC will be offering a US 3G version of the HD2 in Q1 2010.” In my giddiness, I didn’t question until later: Which US 3G bands? AT&T, T-Mobile, Verizon, all of the above? HTC HD2 confirmed for T-Mobile USA? speculates the answer; T-Mobile USA obviously, given the article’s title. This is a problem for hapless AT&T saps subscribers like me, since T-Mobile USA and AT&T use different 3GSM bands. Sure I could still use an AT&T SIM in an HD2. However, I’d only have EDGE, not 3GSM. Heck, I could do this now with the European flavor of the HD2. My dating years have prepared me well for disappointment. But hopefully this will turn out better. wmpoweruser has an excellent video comparing these two phones. What’s striking is that the HD2, while it has a substantially larger screen (4.3” vs. 3.5”), doesn’t seem to be much larger or heavier than the iPhone 3GS, and indeed is thinner. The two devices have a number of common features (e.g., Bluetooth, WiFi, GPS). However, the HD2 has more firepower; a much faster processor (1GHz vs. 600MHz) and substantially more memory. The HD2 also has removable storage (the iPhone doesn’t), a removable battery (ditto), camera flash (ditto), and a more powerful cameral (5MP vs. 3MP). The video’s conclusion: the iPhone 3GS is good, but the HD2 is better. wmpoweruser is a Windows Mobile site. Nevertheless, the video seems reasonably objective, and is an interesting and entertaining 5 minutes. The HD2 does have an Achilles heel; the rather anemic Windows Mobile OS. Version 6.5 is only an incremental improvement over 6.1. HTC Sense hides WinMo UI issues, but it’s sort of like putting lipstick on a pig. With version 7 still at least months away, the WinMo OS drives some towards the iPhone. In this regard, see Is Windows Mobile’s Death Exaggerated? I bought an iPhone 3GS. xpPhone – Are phones getting too big? My Twitter friend jamesfongster at The Viliv boys plans to plunk down his hard earned cash on the upcoming (from China) xpPhone. This FrankenPhone, now available for pre-order, is a phone with a 4.8” touchscreen and a MID with an Windows XP OS. James my friend, I dunno about this. My experience with the HTC Advantage x7500, a similar device except the OS is Windows Mobile, is that this form factor may not be pocketable, unless you walk around in a lab coat. Think also about your (and my) Viliv S5. It’s also a similar device with the 3G option, except it doesn’t have a slide out keyboard. I wouldn’t want to carry that mini-brick around as my phone. Does a 4.8” phone make sense? And what implications does this discussion have for the upcoming 4.3” HTC HD2 (aka Leo) and the Archos Android phone? HTC Leo aka HD2 Coming to America! I’ve been licking my lips (virtually, sorry for the visual) at the prospect of adding the HTC Leo, now called the HD2, to my gadget harem. And why not? A 1GHz Qualcomm Snapdragon processor. A 4.3” WVGA capacitive touchscreen. However, my enthusiasm has been tempered by the memory of past disappointments. The HD2’s predecessor, the Touch HD, as well as the Toshiba TG01, never supported US 3GSM bands. Sure, both would work in the US, but for data, you were limited to EDGE. Our European cousins got all the 3GSM love. Bummer. Indeed, the initial specs of the HD2 indicated support for only overseas 3GSM bands. However, Slashgear reports: “HTC CEO Peter Chou has confirmed that HTC will be offering a US 3G version of the HD2 in Q1 2010.” Yippee! Q1 2010 also may bring Archos 4.3” Android phone, last discussed in Archos Update. If so, it will be an interesting choice. Or maybe I’ll get both! I’ve owned many Windows Mobile phones over the years. However, I’m not using one now. One reason is the stodgy OS. That probably won’t change until version 7, which won’t be available until next year, perhaps late next year. But the other, and main, reason is available WinMo phones lack the specs I want; large screen, powerful processor, and last but not least, a capacitive touch screen. That may change soon. Windows Mobile 6.5 is just being released. Personally, it’s a disappointment. It seems like only an incremental improvement of an OS that needs major re-working. So I’m looking forward to Windows Mobile 7.
wmpoweruser just posted a summary of what is currently known about version 7, its timeline (Spring 2010), and the author’s wish list. What is really Windows Mobile 7 comments on the summary. Interesting informed speculation while we wait … and wait … and wait … to see if version 7 brings us WinMo users to the promised land.